Hollister offers clothing for teen guys and girls with a Southern California flair. They have all types of clothing including shorts, shirts, hoodies, jackets, perfumes, and flip flops. 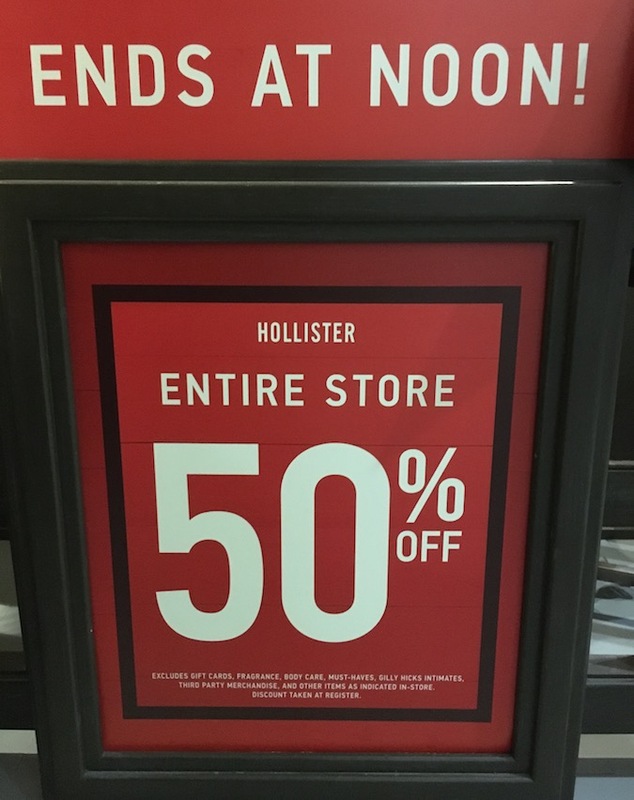 For the last three years Hollister has offered the same Black Friday deal, which is 50% off the entire store from Thanksgiving evening through Black Friday. And it is the same Hollister Black Friday deal in 2016. Here is the sign in front of the store. 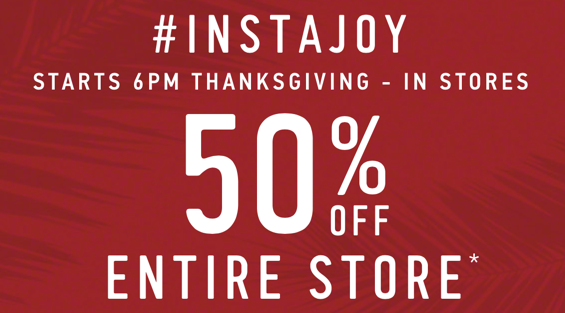 They are offering 50% off entire store until noon on Black Friday. The deal excludes gift cards, fragrances, body care, must-haves, Gilly Hicks Inmates, Third Party merchandise, and possible other items indicated in the store. To ensure that you are the first to know about the Hollister Black Friday deals, we recommend signing up for the Hollister Club Cali program. Members of the program have access to benefits such as special discounts, giveaways, sweepstakes and contests. They will notify you of these deals via email. 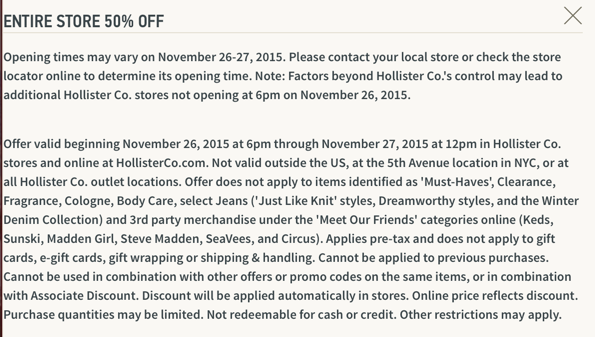 You can sign-up on the Hollister website.